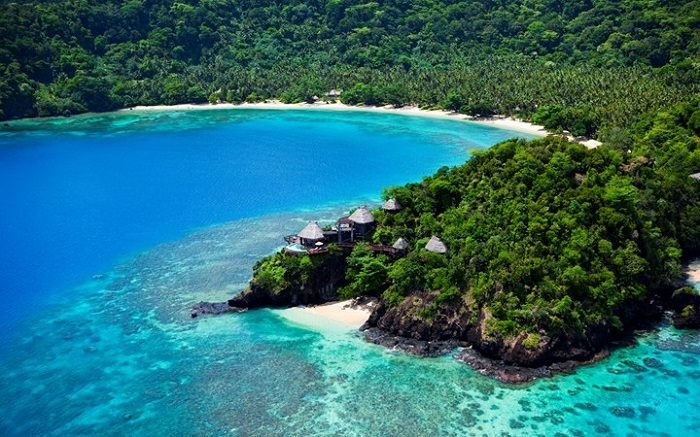 Laucala Island (pronounced Lathala) is a 1400 hectare piece of tropical paradise about an hour from Fiji’s by air. Developed by the founder of Red Bull, the resort here is popular with the wealthy and super discrete. The resort can accommodate a maximum of 80 guests at a time. There are 25 individual villas set through the grounds and along the beach. You’ll find water activities, tropical forest, an 18-hole golf course, a farm, yoga, and even a submarine!